Open this article to see some lovely wedding photos! In 2009, Barber McMurry designed a four- story specialized Heart Hospital for the University of Tennessee Medical Center, creating a distinctive and welcoming “front door” to the hospital campus. By 2016, the facility had reached capacity, but the constrained hospital site limited growth options. Barber McMurry designed a vertical expansion that added five stories and 132,600 additional square feet to the existing building. The project was quickly but carefully completed in phases to allow the Heart Hospital to remain fully operational during construction. 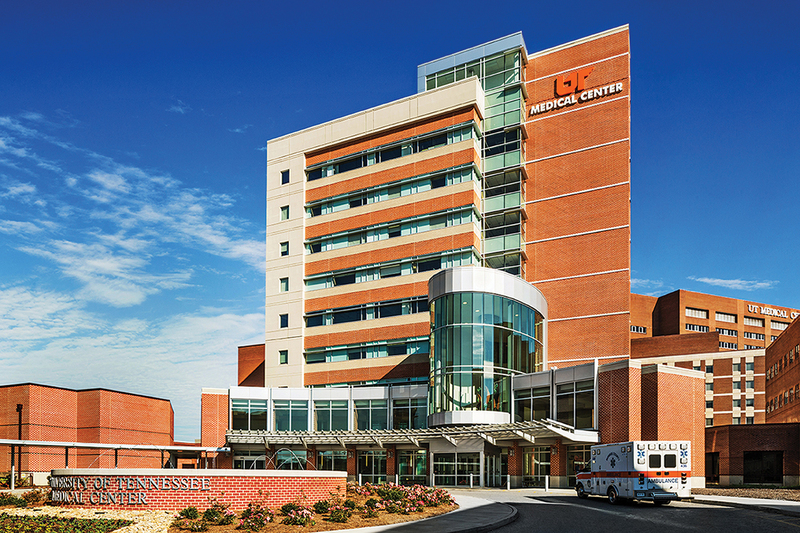 The University of Tennessee Medical Center strives to continually improve its facility, providing best-in-class medical operations. The community need to have medical services all in one location isn’t about convenience, it also will improve patient health. Researching the factors that improve a patient’s health was the driving factor behind the expansion of the Heart Hospital. Input was received from physicians, nurses, health care specialists and patients. Rooms were designed with soothing colors, adjustable lighting, and comfortable sofa beds for family members to spend the night. The waiting areas on all levels have been equally improved to accommodate family, friends and caregivers needing breaks. Built-in snack areas make it convenient with the added luxury of meals delivered by the cafeteria during certain hours, reducing time away from the patient. This attention to details for reducing stress, increasing social interaction, and improving access to privacy has been shown to help patients heal. It is crucial to the patient’s healing success is to have doctors, nurses and other medical staff dedicated to working exclusively with cardiovascular disease along with a multidisciplinary approach to care and treatment. The Heart Hospital is within close proximity to the medical center’s cardiovascular intensive care unit, pulmonary unit, cardiac catheterization center, operating rooms, emergency department and UT LIFESTAR allowing ease of access for physicians and staff. Other additions to the Heart Hospital include a new Neuro Intensive Care Unit, Neonatal Intensive Care Unit, Women’s and Infants unit and the Pulmonary unit. The University of Tennessee Medical Center has a rich history of utilizing evidence-based practices to ensure that we’re delivering the highest quality of care available, and the Heart Hospital represents that commitment to patients. It could be the most important 60 seconds of your life! To survive a heart attack, you need to know the signs and how to respond, well before it ever happens. You can’t afford to wait. Continued Cardiac care is maintenance that we all should do, which was exactly how Freddie Atkins of Madisonville was living his life. With regular visits to his doctor, eating healthy and exercising, the marathon running grandfather was making strides in quality of life. A routine visit triggered a diagnosed need for a stint in his heart and with the latest in innovative procedures at his disposal, it was scheduled at the University of Tennessee Heart Hospital. Dr. Jeffery Johnson, a native of Cleveland, Tennessee provides cardiac care for both Freddie and his wife, Shirley Atkins at University Cardiology. “We completely trust and even enjoy our visits with Dr. Johnson,” said Freddie, “He makes sure we understand everything clearly.” Freddie arrived for the procedure and fully expected to be heading back home in a few hours, however, that changed when the evaluation determined a triple bypass was required, the damage was too great to ignore. It was a sudden change for the man who had created a healthy heart lifestyle and under the best medical care with whom he relied and trusted. Preventative care is key and becuase he had made that a priority, this sudden change was taking place before a life threatening heart event. The University of Tennessee Heart Hospital is a ACS-verified Level 1 Trauma Center, the only one in the area and the first in the state to be awarded The Joint Commission’s Comprehensive Cardiac Center Certification. A huge blessing for East Tennessee residents, the best in cardiac care, prevenative or emergency without having to leave the region. For Freddie, this care was now in the hands of Dr. Ben Barton, his appointed cardiovascular surgeon. Dr. Barton is a 1980 graduate of the UT Medical School followed by a Cardiothoracic residency at the pretigious Emory University. Coming to UT Heart Hospital from Vanderbilt, he provides both excellent patient care and education to future physicians. And so it was, Freddie Atkins was admitted for a triple bypass the next morning. Like the majority of stories from the UT Heart Hospital, Freddie’s is a positive one with a successful surgery leading to the return of a quality daily life. He is continuing cardiac therapy, has returned to independence and building back the active lifestyle so enjoyed. He and his family are grateful for the ability to receive world renowed care close to home, which allowed them to be on the journey together. Freddie Atkins, father of our publisher, who has lived a very active life since retiring from Y-12, is back and better than ever. His marathon heart is beating with love and running the race of life! The 10th annual Taste of Farragut, presented by Turkey Creek Medical Center by Tennova Healthcare returns to the Old Kroger Parking Lot at 11240 Kingston Pike on Friday, May 3rd from 6:30-9:30pm. 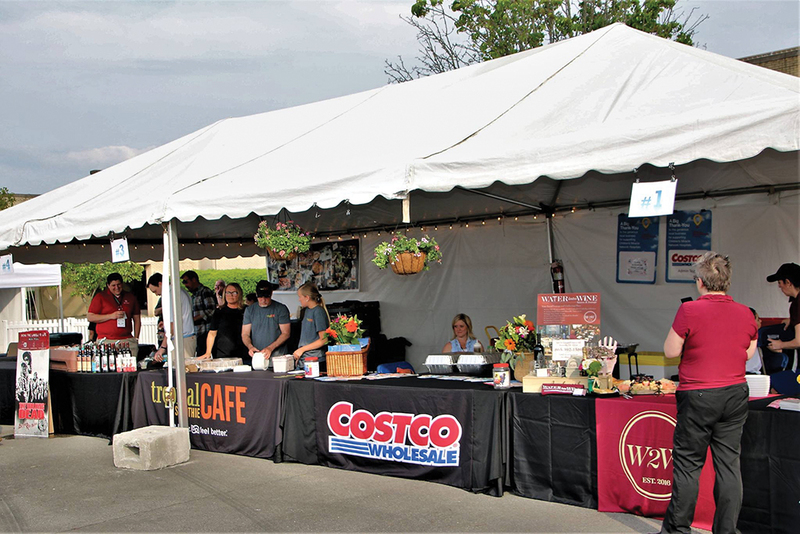 Hosted by Shop Farragut and the Town of Farragut, the festival will draw more than 1,200 attendees to sample the “best bites” of Farragut’s area restaurants and food providers. Patrons can pair those bites with wines, beers and ready-to-drink cocktails (ID required) from Farragut’s wine stores and their distributors. General admission tickets are $30 for adults (if purchased in advance) or $35 if purchased at the gate. VIB seats are limited to the first 100 sold and are $75. Admission for children under 12 is $10 in advance or $15 at the gate, with children under 5 free. Each Spring and Fall Townsend celebrates its rich Appalachia history through music, crafts and foods. 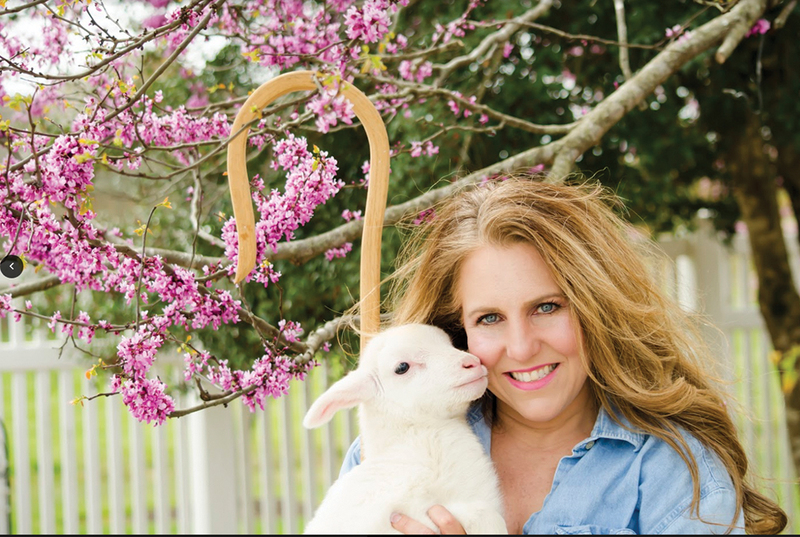 This free event includes two days of Bluegrass music, handmade crafts and food. Bring your lawn chair and enjoy all of the Spring Festivities for the entire family at the Townsend Visitor’s Center. Parking is $10 per day or $15 for a two-day pass. Proceeds benefit the Townsend Volunteer Fire Department. Parking passes may be purchased at the Townsend Visitor Center (7906 E. Lamar Alexander Pkwy., Townsend), the Maryville Welcome Center (201 S. Washington St., Maryville) or at the parking gate on event days. Up-cycled & recycled creative art, photography, candles, soaps, jewelry, paintings, hand-sewn items, sculptures, quilts, glassware, knitted novelties, crocheting, woodworking, & much more are showcased at one of the largest and most enjoyed craft fairs in the region. Enjoy unique and yummy food offerings from multiple food trucks, & local participants like the fire & police departments. It’s two days of family friendly fun! Niota, Tennessee is home to the oldest railroad depot, built in 1854. Originally named Mouse Creek Station, it is the oldest standing depot in the State of Tennessee and one of the oldest in America. During the Civil War it was used by both the Confederate and Union soldiers as a place of safety and rest. Today, the depot is owned by the City of Niota and used by city departments. This May 4th – 5th, the depot will host the 2nd annual Niota Model Railroad Show, a free to the public event showcasing train model exhibitors and vendors from around Tennessee and beyond. Last year’s inaugural event featured around 400 businesses from cities including Chattanooga, Murfreesboro, Crossville, Knoxville, and Maryville. The event will be held at the Niota Depot and the Memorial Building- Saturday, May 4th 2019 9am-5pm and Sunday, May 5th 2019 10am-4pm. 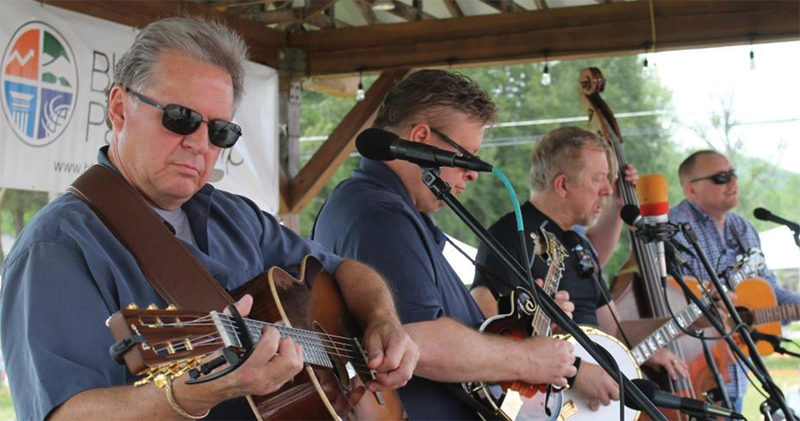 The 57th Annual Lenoir City Arts & Crafts Festival will be held in beautiful Lenoir City Park on June 1st and 2nd, and it promises to be better than ever! The quality of the event and superb reputation of the 240 crafters have made this one of the area’s most popular events. Items range from ceramics and glassware to metal work and jewelry,to baskets and much more! A wide array of fast food and home baked delicacies will be available throughout the festival. Your taste buds will delight in old favorites and new flavors. And plenty of cold beverages to satisfy a summer thirst! The Lampyridae are a family of insects in the beetle order Coleoptera. They are winged soft-bodied beetles, commonly called fireflies or lightning bugs for their conspicuous use of bioluminescence during twilight to attract mates or prey.Did you know that Tennessee is one of the only places in the world that is home to a rare type of firefly? They light up together, completely in sync with each other. Synchronous fireflies (Photinus carolinus) are one of at least 19 species of fireflies that live in Great Smoky Mountains National Park. They are the only species in America whose individuals can synchronize their flashing light patterns. Once fireflies reach the age for which they can fly around and light up, they only live for about 21 days. That means the phenomenon that happens in Tennessee is only viewable for about three weeks per year.The largest population of these synchronous fireflies in the Western Hemisphere is right here, close to home at Elkmont Campground. 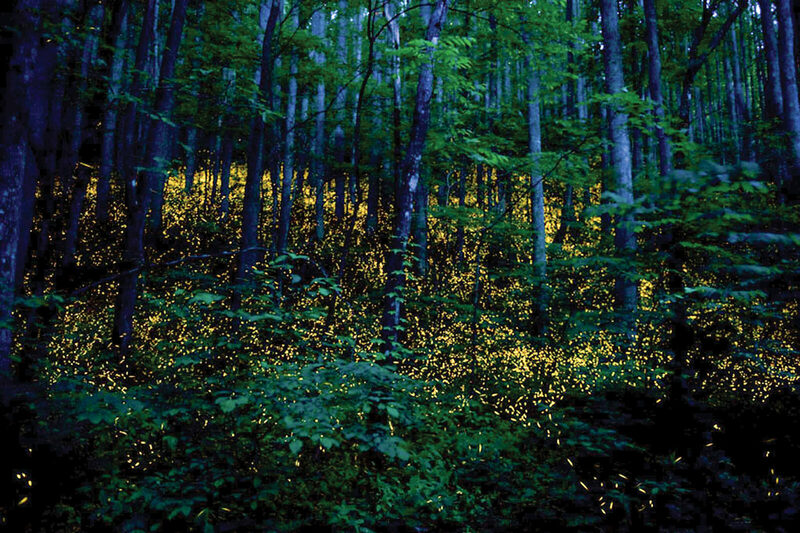 Every year, in late May and early June, the Elkmont fireflies (sometimes also referenced to as Sugarlands Visitor Center fireflies) light up the sky. Located eight miles from Gatlinburg, Tennessee, Elkmont Campground is the largest and busiest campground in Great Smoky Mountains National Park. At an elevation of 2,150 feet, the area enjoys a moderate climate, characterized by mild winters and hot, humid summers.For the last few years the National Park Service has used a lottery system to allow only 1,800 cars to park at the Sugarlands Visitor Center during the 8-day event (225 per day). The lottery works like this: You apply on their page during the three-day application period, choosing two possible dates that you would like to attend. About a week later you will receive notice whether your application was accepted or not. If you were accepted you will pay a $20 reservation fee. On the day you are scheduled for, you will show your ID and your parking pass at the Sugarlands Visitor Center. Then you will board a trolley for Elkmont Campground.If you are not fortunate enough to score parking passes for the main event at Elkmont, don’t be discouraged. Consider visiting within three days either side of the event when passes are not required. The synchronous fireflies can also be found at the backend of Cades Cove (near the Abrams Falls trailhead) or at Cataloochee Valley. It also appears in recent years that the famous fireflies are showing up in surrounding locations, so as the time approaches stay in touch with your local media outlets or the internet to learn about other locations.Most of us have memories of running around outside on summer nights to watch and catch the fireflies lighting up around us. The synchronous fireflies event is a memory of a lifetime. If you want to experienced it make plans this year to light up your life. Choosing the engagement ring is a significant event for any man, his nerves are centerstage awaiting the moment to shout… “She said Yes”. But those famous words have been forever replaced in popularity by “She said Yes to the Dress”. Of course, there is a moment of spotlight for the groom to be as he takes a knee to propose, but with a swiftness equal to a raging river it shifts to the choosing of a bridal gown.Boy meets Girl, they go on a date, they decide to be friends. Sounds like an ending, however, it was the first chapter in the love story for Dawn Tunby and Matt Isbell. The first attempt to date ended with a friendship and as the story goes, Matt received a phone call from Dawn while he was on a date with another and unexpected to his gentleman personality, he answered. Theymet for coffee and the rest is love story history. So, in the true fashion of a love story, they met again, fell in love and she said yes. But let’s get back to saying “yes to the dress”.In the south, it is well known the scheduled appointment with a bridal shop is the start of the wedding to do list. 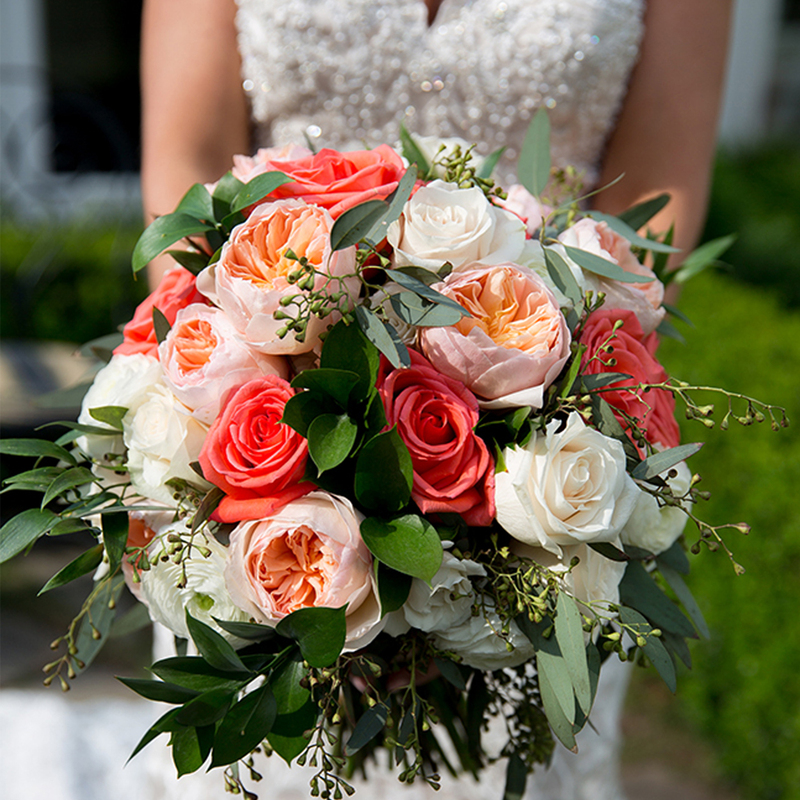 The deeply rooted tradition and often humorous adventure that is the planning of a southern wedding is enjoyed worldwide every Saturday night on the Knoxville based television channel, TLC. The popular show, Say Yes to the Dress-Atlanta premiered in 2010 and is filmed at Bridals by Lori in Sandy Springs, Georgia.On a hot July day the family & friends of Dawn, the bride to be, arrived at Bridals by Lori for the “Say Yes to the Dress” moment. 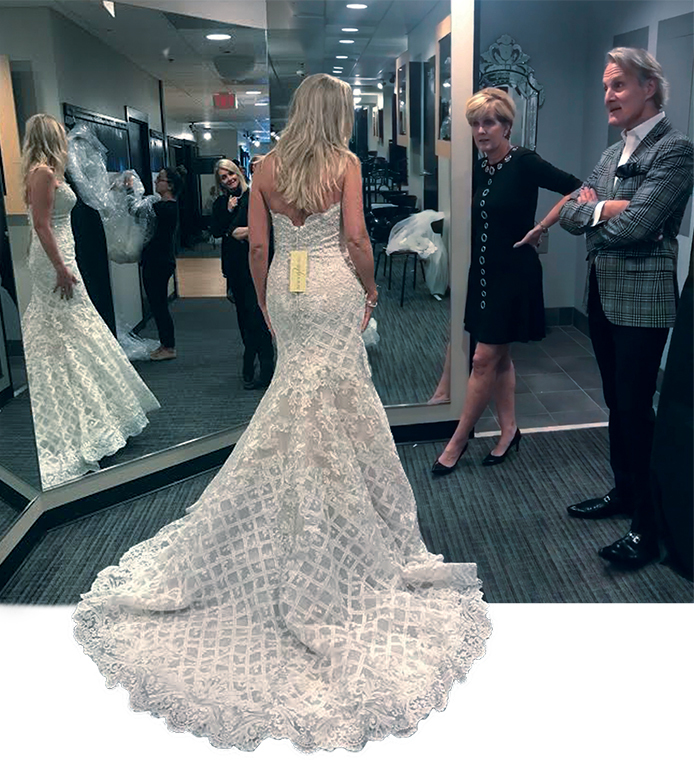 It is an overwhelming adventure to shop for a wedding dress, but doing it on the setof TLC’s Say Yes to the Dress-Atlanta show doubles, triples the experience. Bridals by Lori combines southern hospitality with vast experience to provide each and every bride an exceptional memory. The 25,000 square foot, three story space is home to the largest full service bridal salon in the nation showcasing well-known designers and private label merchandise. For this bride, her wedding story includes the very ones who made that phrase popular. On the walkway stage of Bridals By Lori in Sandy Springs, Georgia, she said yes to the dress. An elegant Allure Couture bridal gown, with custom veil and all the tears needed for award winning memories. The combination of a magical love story and wedding planning granted a memorable moment as two became one. Surrounded by the beauty of an outdoor venue, family and friends, and priceless memories what started with “Yes”, finaled with “I Do”. Watch “Say Yes to the Dress on TLC. Having Trouble Seeing Up Close? By the time we reach our mid-forties, most of us will struggle with seeing things up close. As technology has advanced, we have more and more need to be able to see things up close. We hold our hands in more access to information than ever before. As we use our eyes to view near objects, our focusing system begins to fatigue. Traditionally, as we reach the age of 40-45 years of age, we begin to struggle seeing up close. As this happens, vision correction aids such as bifocals or reading glasses are required to help us focus up close. Fortunately, technology has now provided us more options to maintain clear, comfortable vision up close.Gone are the days of lined bifocals and over-the-counter reading glasses. Progressive eyeglasses and multifocal contact lenses are the modern devices that most people now enjoy to provide comfortable, clear vision at all distances. Even if you never depended on eyeglasses in your youth, you will be challenged with blurry vision up close around the age of 45. With cell phones and computer use, even young people are struggling with blurry vision and eyestrain.Let’s discuss some of the options available to you. Progressive eyeglasses are glasses which provide clear vision at all distances. The design is such that the top part of the lens is focused for distance and as one looks down through the lens, it progressively changes focus for near. Hence the name progressive eyeglasses. For those who don’t like wearing glasses or for those who want to be less dependent on eyeglasses, multifocal contact lenses provide a nice alternative to progressive eyeglasses. Multifocal contact lenses have been around since the 1990’s, but have greatly improved in their design and function since then.Even if you have a significant amount of astigmatism, there are multifocal contact lens options available. You must find an eye doctor who is experienced in fitting specialty contact lenses in order to find success with these lenses. 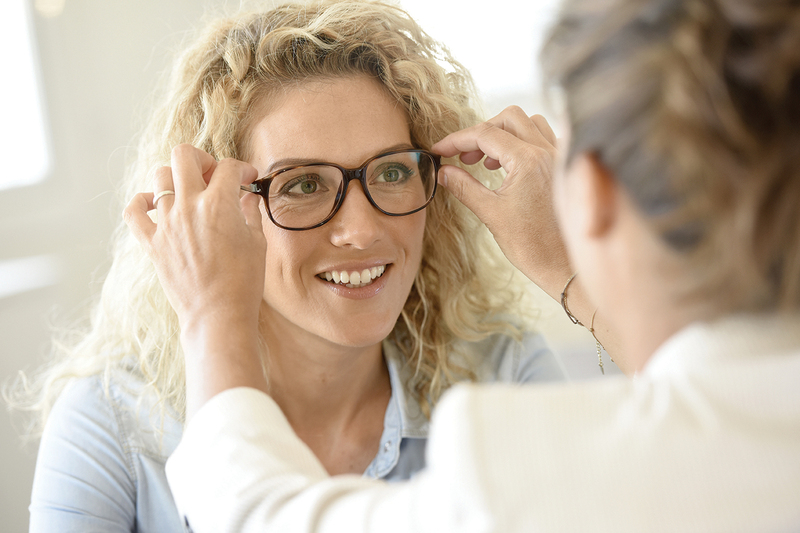 Even if you have tried multifocal contact lenses or progressive eyeglasses in the past and failed, you may be surprised with the success of the new designs. Comfort and clear vision have greatly improved in recent years.If you spend a significant amount of time on a desktop computer, there are specific eyeglasses that are much better suited for this purpose. Computer eyeglasses are a must for anyone spending over four consecutive hours on a computer in a day.If you are struggling with your vision and would like answers, look no further than Premier Eyecare located in Farragut. We want to keep you focused for life. Call today for your appointment. 966-0100 or visit us at www.Premier-Eyecare.net. Native Americans were drawn to the bluffs overlooking the river of what is known as Memphis, building their settlements on the Fourth Chickasaw Bluff which protected them from flooding by the mighty river that also provided easy transportation.It was Hernando DeSoto that arrived in 1541 with his army to explore the lower half of the river, setting up camp near the site of Memphis, claiming the land for Spain. That land would change ownership many times over the next 200 years, claimed by France, England and Spain, before the United States of America got involved.In 1796, Tennessee became the 16th state admitted to the Union, and the Chickasaw Indians sold the land to the U.S. government more than 20 years later. It was during that time that future president Andrew Jackson, John Overton and James Winchester decided to join the government to incorporate the town. 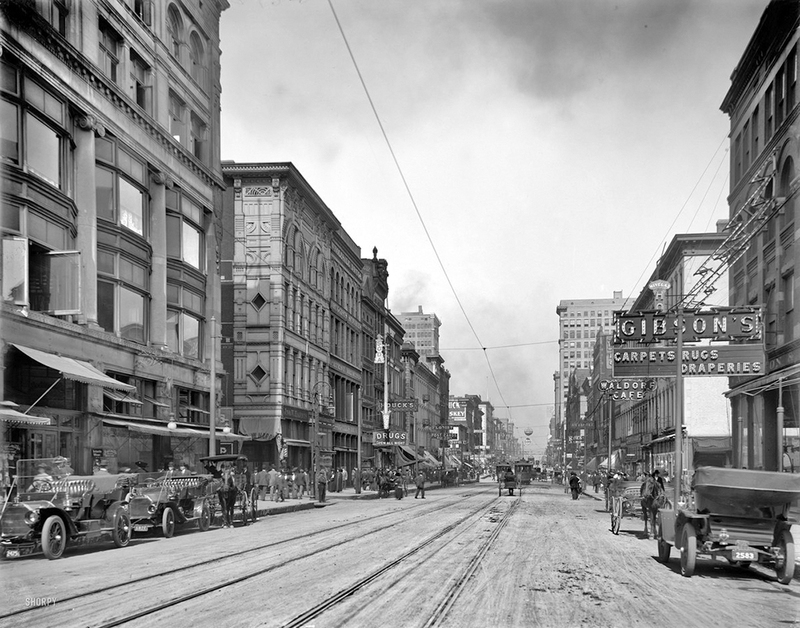 They further named the place Memphis, a “place of good abode.”Memphis became the largest inland cotton market in the world, but the city’s location and its reliance on slave labor would prove to be a volatile mix in the near future. The Battle of Memphis, a 90-minute fight resulted in the Confederate flag flying over the city being replaced with a United States flag. The Union Army would establish the area as a hospital post which proved beneficial, helping the city rebound after the war.During the yellow fever epidemic of 1873 it all changed as people passed in catastrophic numbers. The epidemic returned years later to nearly wipe out the entire population. Those who were healthy enough to travel, fled the city. Memphis was bankrupt and forced to surrender its charter. Around 1879 when Memphis was just a state taxing district, a wealthy businessman named Robert Church, Sr. began buying up land, primarily on Beale Street. He built Church Park which is still named in his honor on Beale Street.Time passed and the city welcomed the 20th Century, hoping to leave the negatives of previous century behind. It had been plagued with disease, crime and poverty. Anything you needed that might be illegal continued to be available, mostly on Beale Street. But it was also the home to many music clubs that enticed cotton field workers to enjoy good times on the weekends. It would be their “chantings” that would become “blues,” a priceless American musical art form.Another interesting invention that came out of Memphis was the modern supermarket. Local businessman Clarence Saunders opened the first self service grocery store, Piggly Wiggly. It was a huge success, with stores opening across the county, making him a millionaire. He spent the money by building a 22-room, pink marble mansion which along with his company and money would be forfeited when he lost it all. The City of Memphis is the current owner. The mansion dubbed the “Pink Palace” is a museum, planetarium and theater.Then like the bang of the yellow fever, the Depression surged into town. Just like the rest of the country there was no avoiding the disastrous effects of the time. The cotton market and industrious companies of the city would bring relief as America entered World War II. The gift was appreciated and reciprocated as Memphis would inspire the most famous aircraft of the war- Memphis Belle, the first B-17 bomber.In the last months of 1942, American morale needed a boost and the editor of a Memphis paper learned that one of the airplanes doing battle in Europe was named for a local woman, Margaret Polk, by her pilot sweetheart, Robert Morgan. From then on news about the Memphis Belle’s victories appeared regularly. As one of the first airplanes to completeits overseas missions and the star of a War Department documentary, the Memphis Belle and its crew were selected for a stateside tour. The second stop, after Washington, D.C., was Memphis, where the young couple would be reunited. The love story ended shortly after the war, but not the love for the Memphis Belle. It remains on display today in Memphis.Fame would be completely redefined in the 1950s. A young man from the Memphis housing projects starting hanging out on Beale Street, standing in the doorways of the clubs to listen and learn, and taking those lessons and talent to Sam Phillips’ Sun Studio, located a few miles east of Beale Street, to record “That’s All Right Mama”. It was history in the making and the start of what would bring international attention to Memphis, Tennessee. Ladies and Gentleman, Elvis Presley entered the building. The King of Rock and Roll would pass in 1977 at his Whitehaven neighborhood home, Graceland. In 1982, the grounds and home were opened to visitors. Graceland is one of the most popular tourist destinations in the world, welcoming more that 600,000 visitors each year.Beale Street surged as a tourist destination in the 1990s assisted greatly by the international festival, Memphis in May, a month long celebration that brings countless visitors to enjoy the world- famous Beale Street Music Festival, World Championship Barbeque Contest and a host of events honoring an international location. This year, in celebration of the Bicentennial, Memphis is honoring all things Memphis.The addition of professional sporting franchises gained more attention for the city. In 2000, the Memphis Redbirds, an affiliate of the St. Louis Cardinals baseball, and the Memphis Grizzlies an NBA team, came to town.It’s a city with an incredible past, a story that is timeless and richly impacted American History. From the discovery by early Native Americans followed by an influx of European explorers, from the Civil War to the centerstage of Civil Rights, from historical music flowing from Beale Street to innovation in medicine, Memphis is A Place of Good Abode.